ROUND 17 saw the top two teams consolidate their positions on the ladder while third and fourth switched places. However, all the drama was between two teams looking to keep their season alive. There is nothing like breaking a long losing streak with a last minute win and for one club, it may well be the catalyst in their push for finals football. Swan Districts chalked up their ninth win of the season with an important 12-point win over their top four rival East Fremantle, seeing them reclaim third on the ladder. Swans got off to the better start leading by a goal at quarter time and extending it to 21 points through goals to Atem Deng and Harry Edwards early in the second term. However, East Fremantle responded well with goals to bottom age talents Joshua Harris-Walker and Jai Jackson to only trial by nine points at half time. It was a tense first ten minutes of the third term but Kade Walldrot kicked Swans’ sixth of the game to give them some breathing space and Edwards kicked his second to give Swans all the momentum in this important top-four clash. Edwards then kicked his third early in the final term to push the lead beyond four goals and seemingly out of reach, but Bailey Tucek booted the reply soon after to give the Sharks a lifeline. Trent Rivers edged the Sharks a bit closer with his first of the game, but the clock was the enemy of the Sharks and in the end Swans stood strong and sealed a deserved victory which ended their two-game losing run and saw them edge past the Sharks on percentage in a compelling race to get that all-important third spot, which gives you a double chance once September comes around. While they lost on the scoreboard, a number of East Fremantle’s talented youngsters including Dylan Curley, Corey Robinson, Cameron Davidson and Nicolas Watson got due rewards for their impressive seasons by being promoted to the seniors this weekend. While East Fremantle held the advantage in the disposals count (319-292) and generated more inside 50s (42-35), it was Swans who were able to generate two more scoring shots (17-15) which was the key story of the contest. Kade Walldrot was once again a pivotal player in Swans’ win with 21 disposals, 12 tackles four marks and a goal and he was well supported by Joseph Hinder (23 disposals,six marks) and Jackson Beck (22 disposals,six marks) while Edwards was a superb focal point in a low scoring game with three goals to go with 16 disposals and eight marks. Max Murphy was strong in the clinches for the Sharks with 25 disposals, nine marks and six tackles. Subiaco survived a searching test of their premiership credentials to emerge with a 13-point win over a gallant Claremont at Claremont Oval on Saturday morning. The Tigers took a two-point lead into quarter time in a low scoring and scrappy first 25 minutes, but Subiaco looked to break open the game early in the second term through goals to Jordan Faraone and Jack Mayo. Ben Schuhkraft kept the Tigers in it with a late six-pointer which was their only scoring shot of the term to see them trail by 16 points at the long break. Liam Hickmott got the Lions off to the perfect start in the third term with his first goal, giving the visitors their biggest lead of the game which was a 22 point buffer. Claremont, who were fighting for that highly coveted fifth spot on the ladder, hit back hard with majors through top-ager Jack Monaghan and bottom-ager Ben Elliott to get the margin back under ten points, but Duane Smith gave the Lions a handy 14-point lead going into the final quarter. Once again the Tigers would not say die and were proving a very pesky opponent with bottom-ager Kade Lines cutting the margin to eight points once again but the Lions’ key forward Mayo kicked his third in this topsy-turvy encounter. The teams traded goals until the end of the contest but it was the figure of Mayo which was pivotal to the result as the key forward kicked four goals for the game which included two in the all-important final term. These are the wins that teams look back on with pride come the end of the season – when you are not at your best for whatever reason, but still manage to secure the four points. As we enter the final month of the regular season, Subiaco turn for home with a one-game lead on their nearest rival Peel Thunder, who have played an extra game. The Tigers did extremely well to stay with the ladder leaders despite not winning any of the key statistics. If they play with that kind of enthusiasm for their remaining games, they will certainly a dangerous opponent in the run-in to the finals. Mayo was superb with 15 disposals, five marks, three tackles and 4.2 while his midfielders played their part in getting the ball down to the key forward with Tristan Hobley (34 disposals, five marks and five tackles) along with Liam Hickmott (28 disposals, nine tackles) highly prominent. Jack Monaghan was very solid throughout the contest for the Tigers with 21 disposals and six marks while Schuhkraft made the most of his opportunities with two goals. A stirring second-half comeback has memorably ended Perth’s seven-game losing streak with a thrilling two-point victory over East Perth at Leederville Oval on Saturday evening. East Perth got off to a strong start to the contest kicking three goals to one and leading by 14 points at quarter time. An even spread of goalkickers is a clear sign of good team football and that is exactly what the Royals were displaying as their first-half goals had come from seven different players. The home team had a very comfortable 31-point lead at the long break with Louis Miller having 16 disposals and Darrin Cox 14. Perth made some notable headway to start the third quarter kicking three goals to one to cut the margin to three goals. Hamish McFarlane became the first multiple goal kicker of the game and was a key factor of Perth’s fight back as they looked dangerous every time they took the ball inside their 50-metre arc. East Perth went into the last quarter leading by 14 points and needing to regain their momentum that they had for the first two quarters. The early part of the last quarter was a cagey affair with Perth looking to close that gap further and the Royals keeping them at bay. The first goal of the term took a while in coming but the visitors were able to strike the vital blow through Connor Sing. It was now one-way traffic and in East Perth’s case the clock was stuck in time while for Perth it was ticking too fast, but there was to be one more bit of drama on a thrilling day at Leederville Oval. In the seniors which was played before the Colts game, East Perth kicked a goal after the siren to claim a victory that kept their season alive. Lightning struck twice but this time it was the Demons who were the beneficiaries when top-ager Austin Davis kicked the goal just before the final siren which gave Perth a priceless victory which edges them to within half a game of South Fremantle in fifth place, although the Bulldogs have a game in hand. A clear sign of the momentum change was in the inside 50s which saw Perth trail by 13 at halftime (28-15) but they flipped that on its head to win it 48-39. They managed to kick 6.5 to 1.2 after the break to complete their superb victory. It was the tireless work from the likes of Zac Casey that really turned the tide with the midfielder having 21 disposals, five tackles and a goal while McFarlane was a solid contributor up forward with eleven disposals, three marks and two goals while the workrate of bottom-ager Brodie Gray was immense with eight tackles and a goal from 11 disposals. Meanwhile it was a crushing blow for East Perth who were in total control in the first half but stopped to a walk and paid the ultimate price. Their pain was doubled by the fact that they could have moved to level points with South Fremantle, but instead, remain in last spot with the 2017 Preliminary finalists now running out of time to make a lasting impression this season. Jacob Msando was a classy contributor with 21 disposals, five tackles and a goal while Louis Miller tried hard all game with 23 disposals, five tackles and a goal. Peel consolidated second place on the ladder with a strong 37 point win over West Perth at Joondalup Arena on Saturday evening. Looking to consolidate their top two position, Peel started by far the stronger side, kicking four goals to one and leading by 20 points at quarter time. Having a clear look of intent about their play, Peel continued to put West Perth on the back foot with Lee Chapman and Lachlan Cullen looking dangerous with two goals for the half. The halftime margin of 39 points was an illustration of the gulf between the two sides and the Falcons had plenty of work to do to get themselves back into the contest. While not hitting the scoreboard as frequently, the dominance of Peel showed no signs of abating as West Perth were unable to make no headway for the majority of the third term until Treak Nannup kicked his and his team’s second goal of the game. West Perth did well to keep their heads up and managed to win the quarter three goals to two but in reality, the damage was already done in the first three quarters and Peel walked away with a very professional 37-point win. The visitors conceded the hit-outs (26-59) but still managed more disposals (276-262), had more inside 50s (39-27) which led to seven more scoring shots (19-12). Lachlan Riley was prominent for Peel with 25 disposals and nine marks while James Sturrock returned to the Colts ranks after two games in the seniors and his polish was evident with 17 disposals, five marks and two tackles. Meanwhile, for West Perth, Tyron Hindmarsh was very solid with 22 disposals and three marks whileNannup toiled hard with six tackles to go along with two goals. 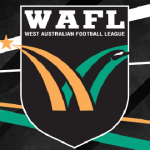 ROUND 14 in the West Australian Football League (WAFL) Colts saw the top two teams meet, while a new contender emerged for the last finals berth. A strong second half performance has earned Subiaco their fifth straight win and a return to the top of the ladder for the first time in two months after a 27-point win against their closest rival Peel Thunder at Leederville Oval on Saturday. The scene was set for a great encounter between the two hottest teams in the WAFL Colts in 2018. 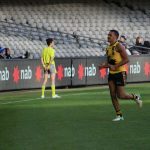 After starting the season 1-3, the visitors brought a seven game winning streak into the contest while after a sticky spell, Subiaco had won four games in a row. A partly cloudy day with little breeze greeted both teams onto the field and the first few minutes saw Subiaco dominate the play. Jordan Faroane kicked the first goal of the game for the Lions but Ben Middleton crumbed well to give Peel the quick reply. Subiaco took back the early initiative with a goal to Jack Mayo from 45 metres from a acute angle. After an extended part of the quarter was defined by strong pressure tackling by both teams, it was Peel who broke the deadlock through key forward Lachlan Cullen. Soon after, Cullen appeared to push his opponent out the contest but the mark was paid and he kicked his second from 15 metres to give Peel their first lead of the game. Cullen was proving a real headache for the Lions defence and he took another mark just before the siren. Although the kick missed, Peel had illustrated their credentials from the 10 minute mark of that quarter. Zane Shellabear Healey got the home side of to the perfect start in the second term where he was all alone in the forward 50 and able to dribble it through from 30 metres. Not soon after, Jack McIntosh gave the Lions back the lead with a true snap on goal. Just like the early stages of the contest, Subiaco was dictating the terms as Peel has suddenly lost its forward structure and composure in possession. For all Subi’s dominance, they only led by five points so the visitors were well in the contest. With the weight of possession came opportunities for Subiaco’s forwards and Mayo kicked his second for the half with a fine goal from the boundary. Middleton kicked Peel’s first for the second quarter which was vital to take a bit of momentum away from the Lions. The halftime siren saw the Lions lead by five points in an intriguing half of football. It looked to be a battle of the key forwards with Mayo for Subiaco, and Cullen and Middleton for the Thunder set to have a key say in proceedings in the next 50 minutes. Nicolas Martin gave Subiaco the best possible start after the long break with a mark and goal from 35 metres in front and he backed that up a few minutes later with his second and give Subiaco their biggest lead of the game of 16 points. Some excellent forward pressure from Faroane forced a fumble from his opponent and he took advantage kicking his second of the game. Both teams then had their chances but it was the Lions who went into the final change leading by 24 points. Some great interplay by ball magnets Jacob Peletier and Tristan Hobley set up Martin for his third to take them a massive step closer to icing the four points. However, good teams like Peel always manage to hit back hard and they did so through a classy goal to James Wiltshire from the boundary and then Cullen took a strong mark and goal to narrow the gap to under three goals with fifteen minutes remaining. It was now Subiaco’s time to reply and some good ball movement saw Duane Oxenham-Smith kick his first and arguably the sealer. Once again the pure determination by Subiaco in their forward 50 was superb as 15 year old Tyler Broughton ripped the hall away from his opponent and snapped truly. Peel bottom-ager Jack Sears kicked a clever goal from a acute angle, but it was Mayo who had the final say in the contest kicking his third which made the final margin 27 points and move the Lions a game and percentage clear of Peel and Swan Districts on the ladder. In the end it was a very composed performance by the Lions in a hotly contested battle befitting of the two top teams on the ladder. Their pressure around the ball especially in the second half was superb and that was able to force mistakes from their opponents which they were able to seize upon and create opportunities of their own. To put Subiaco’s 2018 season into perspective, this win was their ninth for the season. In the previous three seasons they had only won 12 games combined (including a one win season in 2016). Their last finals appearance was back in 2013, and while they wouldn’t want to be getting ahead of themselves in any way, it is looking very likely that they will make a long-awaited to September action this year. Although Peel’s coaching group will be aware they they can play a lot better, they will have lost few friends with their competitive performance. In truth, they lost the contest in the second and third quarters being outscored six goals to one and lost all momentum they had after a very impressive first quarter. Hobley (28 disposals, six marks and six tackles) and Peletier (24 disposals and seven marks) were strong contributors and the impact of their forwards Mayo (11 disposals, seven marks and three goals) and Nicholas Martin (17 disposals, six marks and three goals) were essential to the victory. 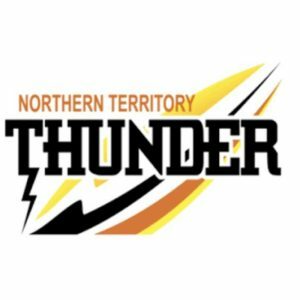 Sturrock (25 disposals, six tackles) and Riley (21 disposals, eight marks) were solid contributors all game for the Thunder while Cullen was a strong target with three goals. South Fremantle put on a emphatic display to defeat Claremont by 82 points at Fremantle Oval and with the win moved into the top five for the first time this season. The final score was 15.13 (103) to 3.3 (21). Lachlan Feeney kicked four for the home side and he was well supported by Lachlan Johnson and Thomas Weston each with two. It was a grim old day for the Tigers with Liam Henry and Benjamin Elliott the only goal kickers. Feeney had 20 disposals and eight marks to go along with his four goals while their on-ball brigade had a field day, as Tom Blechynden had 34 disposals, Enrique Aiken-Featherstone with 28 disposals and Jack Musika 27 disposals to name just three. Liam Henry tried all day with 20 disposals and nine tackles for last years grand finalists who with their poor percentage (71.5) fell to the bottom of the ladder. Meanwhile, East Fremantle continued their impressive form to defeat West Perth by 43 points at East Fremantle Oval and further entrench themselves in the top five. The final score was 12.12 (84) to 5.11(41). Bottom-ager Connor McPartland was the leading goalkicker with four goals while Ethan Brown kicked two. There were five individual goalkickers for the Falcons. Milan Murdock was irrepressible with 33 disposals but was also superb with 16 tackles while McPartland also had eight tackles, six marks and 16 disposals to go with his four majors. Meanwhile Nathan Murray kept up his superb season with 37 disposals, four marks and four tackles along with a goal. In the round’s final game, a powerful last quarter display saw Swan Districts consign Perth to their fifth loss in a 39 point win – 9.15 (69) to 4.6 (30). Bottom-age youngster Nelson White and Matthew Russo each kicked two goals for the home side while Kade Walldrot racked up 29 disposals and seven tackles. Meanwhile for Perth, Zac Casey was their best on the day with 27 disposals, nine marks and eight tackles.